A roast pork supper will begin at 5 p.m. Sept. 15 at the Ekonk Community Grange, 723 Ekonk Hill Road, Sterling. The meal will include mashed potatoes and gravy, fresh carrots, green beans, applesauce, rolls & butter, beverages and a chocolate chip cookie with a bowl of vanilla ice cream. 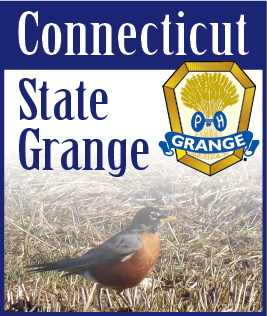 Folks are encouraged to bring nonperishable food items that the Grange distributes to families in need. For each item brought, the giver receives a chance on a gift certificate to Ekonk Hill Turkey Farm. The cost is $12 for adults, $6 children ages 12 and younger and free for preschoolers.